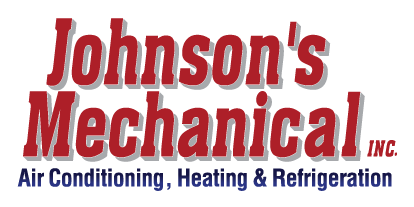 Residential Heating and Cooling, Winter Haven | Johnson's Mechanical Inc. Residential Heating and Cooling, Winter Haven | Johnson's Mechanical Inc.
We know you won’t need to go anywhere else when you choose us for your residential heating and cooling needs in Winter Haven. At Johnson’s Mechanical Inc., we have been assisting our customers with their residential heating and cooling needs since 1982. We believe there are a number of things that set us apart from other companies, and we know you won’t need to go anywhere else when you choose us for your residential heating and cooling needs in Winter Haven, Florida. Our customers will tell you that your satisfaction is our number one goal, and our quality customer service is just one of the things that keeps our customers coming back anytime they need maintenance and servicing. Our fast, reliable repairs ensure that your home is comfortable all year long, and our licensed and ensured technicians provide personal service without trying to up-sell you on products and services you don’t need. Additionally, we service all major brands of residential heating and cooling equipment. No matter where your heating and cooling system came from, we believe you should get the quality care and servicing you deserve. We have the knowledge and experience to answer your questions, troubleshoot issues, and provide maintenance options that give you confidence your system is working its best. If you are interested in learning more about our maintenance plans for residential heating and cooling systems, or if you need to schedule service in Winter Haven, just give us a call at Johnson’s Mechanical Inc. today to get started. The integrity of our work speaks for itself. We look forward to assisting you.